Trees and plants take in carbon dioxide from the air and convert it to oxygen — a process known as photosynthesis. 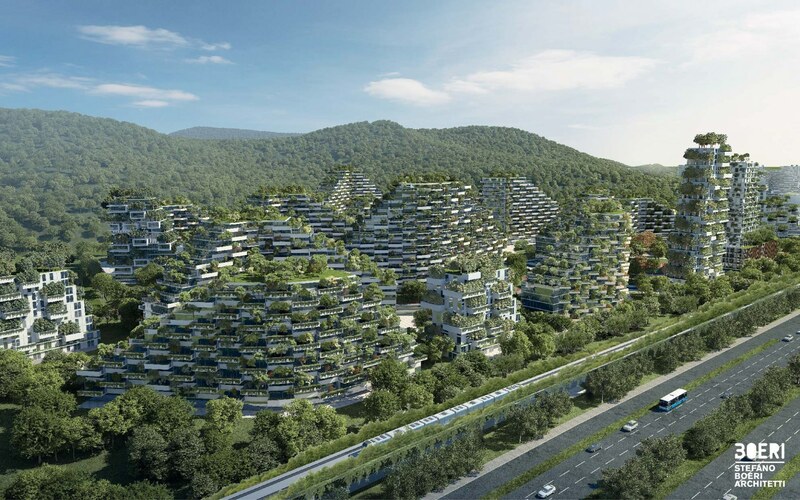 China is using trees as air filters in the world's first "forest city" located in the southern city of Liuzhou. 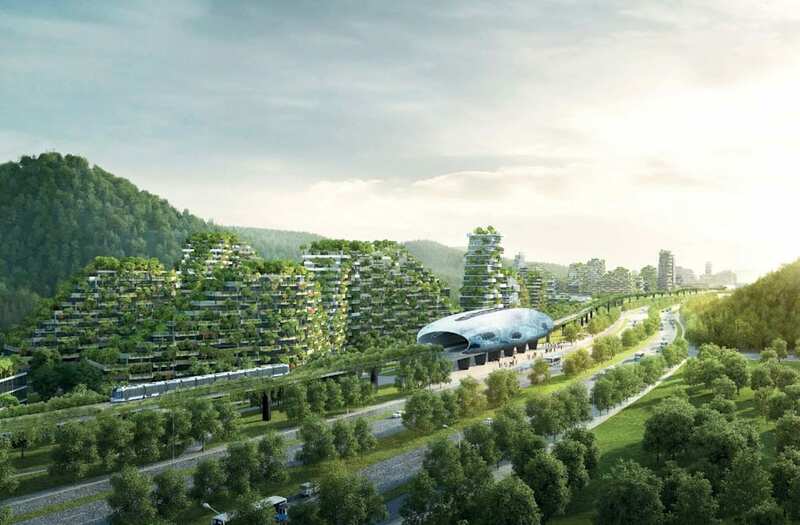 The country has started construction on this endeavor — which is expected to combat air pollution, improve local biodiversity, reduce sound pollution and reduce air temperature — and it is slated to be completed by 2020. 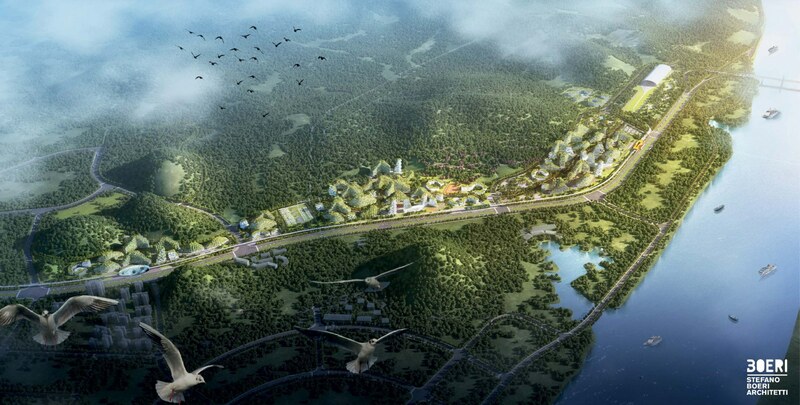 Liuzhou Forest City, situated in southern China's Guangxi Province, will be 175 hectares and situated along the Liujiang River. It will consist an array of buildings from offices and schools to apartments and hotels, and will run on renewable energy sources like geothermal and solar energy. The city will be home to 30,000 residents, who will be able to access the main Liuzhou city through a fast rail line. Liuzhou Municipality Urban Planning has commissioned Milan-based Stefano Boeri Architetti for construction, development and design. What will ultimately make it a "forest city" are the one million plants and 40,000 trees that will be planted within the area. It's expected to soak up 10,000 tons of carbon dioxide and 57 tons of fine dust pollutants a year. And it's anticipated to produce roughly 900 tons of oxygen annually. 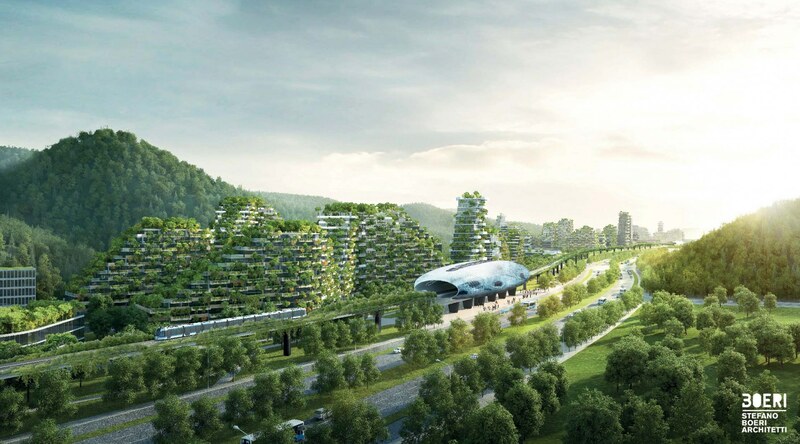 "The diffusion of plants, not only in the parks and gardens or along the streets, but also over building facades, will allow the energy self-sufficient city to contribute to improve the air quality (absorbing both carbon dioxide and fine dust of 57 tons per year), to decrease the average air temperature, to create noise barriers and to improve the biodiversity of living species, generating the habitat for birds, insects and small animals that inhabit the Liuzhou territory," the architects write on their website. 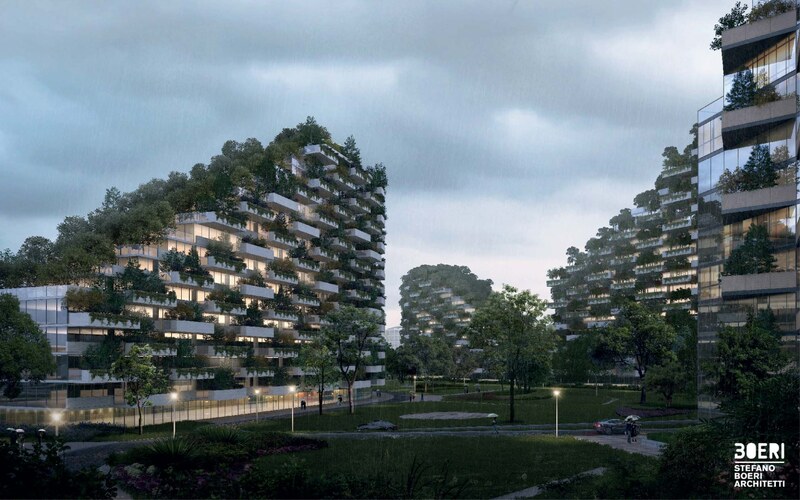 Stefano Boeri's firm is no stranger to such a project, as it is behind the "vertical forest" residential building in Milan and the two vertical forest buildings planned for Nanjing in eastern China. The Nanjing towers are said to absorb 25 tons of carbon dioxide and generate 0.06 tons of oxygen per year. That level of carbon dioxide absorption is roughly equivalent of taking 5 cars off the road for one year.